Last year, we showed how Anne Neville (and thus Edward of Middleham) were descended from Hugh Despenser the Elder, Earl of Winchester. Having followed up Kathryn Warner’s suggestion, this file allows us to add another Queen Consort, a King, a Lord Protector and a Lord High Admiral to the list of that Earl’s descendants. This can also be connected to our previous post about the Seymour to Culme-Seymour line (slide 5 of this document). 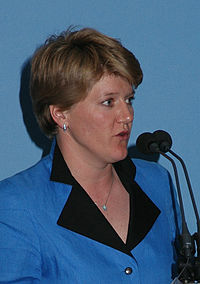 “Who do you thin k you are?” has returned and the third episode of the new series (20 July) featured Clare Balding. After last year’s programmes , this one and this other recent one, it is no surprise that tracing this racing presenter’s royal ancestry is a little easier. Clare’s great-grandmother was Lady Victoria (hence the middle name) Stanley, who married, secondly, Sir Malcolm Bullock. This links her to the Earls of Derby, the first of whom was that Thomas, Lord Stanley who liked watching battles, although they were not broadcast live in his time. In particular, the 17th Earl married Lady Alice Montagu, who shared “Tudor” descent such that Ferdinando (5th Earl, 1559-94) was regarded as a hypothetical Catholic claimant after Mary of Scotland’s execution. Unsurprisingly, the Derby, one of the events she has often presented, was named for an ancestor (the 12th Earl, above right ) from 1780. 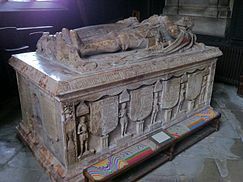 Additionally, her uncle is William Hastings-Bass, the 17th Earl of Huntingdon and once the Queen’s trainer, connecting her to the marriage between Francis (2nd Earl, tomb in Ashby de la Zouch to the left) and Catherine Pole, thus to George, Duke of Clarence and Edward III. I would rather have heard the Huntingdon line mentioned than so much about her Dutch-American forebears at the end. Posted by super blue in genealogy, television reviews and tagged "Tudors", BBC, Catherine Pole, Clare Baldding, Danny Dyer, Earls of Derby, Earls of Huntingdon, Edward III, Ferdinando Stanley, Francis Baron Hastings, Frank Gardner, George Duke of Clarence, horse racing, Mary Stuart, royal descent, Sir Malcolm Bullock, The Derby, Thomas Lord Stanley, USA, Who do you think you are? Last week, just hours before the actor Danny Dyer appeared on “Who do you think you are?” to reveal his descent from Thomas Cromwell and Edward III – in the latter case, via the Mortimer, Percy, Seymour (Jane’s sister), Cromwell (Thomas’ grandson Henry), Tollemache (of Helmingham hall) and Gosnold (Robert Gosnold V, 1611-58) of Otley Hall) lines – we blogged about it. It was rather a good episode, reminiscent of Frank Gardner’s episode, revealing Robert Gosnold’s service as a Cavalier officer, as well as Thomas Cromwell’s end much like Michael Stanhope’s. There is, however, almost a second line of Royal descent. John Gosnold (1528-1628 and a cousin of Bartholomew) was married to Winifred Windsor, the great-great-granddaughter of George, Duke of Clarence. They had five sons and three daughters. One of their sons was called Robert but Robert V was actually John’s great-nephew as Lucie Field’s tree suggests. For more on Thomas Cromwell, son of a Putney brewer and secretary to Wolsey, including his impact on Ipswich and other locations, .try this excellent MacCullough documentary. 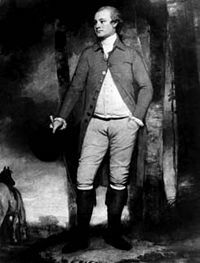 Posted by super blue in buildings, genealogy, television reviews and tagged Bartholomew Gosnold, Cromwells, Danny Dyer, Edward III, executions, Frank Gardner, Gosnolds, Helmingham Hall, Ipswich, Jane Seymour, John Gosnold, Lionel of Antwerp, MacCullough, Michael Stanhope, Mortimers, Otley Hall, Percies, Robert Gosnold V, Seymours, Thomas Cromwell, Thomas Wolsey, Tollemaches, Who do you think you are? A “Tudor” marriage and a contemporary journalist who is the bride’s collateral descendant. Janet Wertman writes here about Emma Stanhope’s marriage to Edward Seymour, the Lord Protector to Edward VI. Seymour was ousted and executed in January 1552 alongside Emma’s brother, Sir Michael Stanhope. 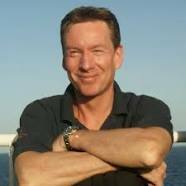 As shown in the last series of “Who do you think you are?”, Sir Michael was the ancestor of the BBC Security Correspondent Frank Gardner. Many readers of Carson’s “Richard Duke of Gloucester as Lord Protector and High Constable of England” will be curious, given “Tudor” criticism of the Duke’s twin roles in 1483, of their practice in the next century, by comparison. The occasion in question was, of course, the accession of Edward VI as the only surviving son of Henry VIII. It is well established that Edward IV had appointed Gloucester, Edward V’s paternal uncle just as the Dukes of Bedford and Gloucester had been to Henry VI, to the role of Constable in 1471 (Carson p.85) and of Protector by his codicil, which took effect in 1483, although the Woodville faction sought to prevent him from receiving the seals. The position of Lord High Constable effectively expired in 1521 when Edward Stafford, 3rd Duke of Buckingham, was attainted and executed, although one has subsequently been appointed solely to serve at each coronation. Henry VIII’s will left no order regarding the Protectorship but on 1 February 1547, just four days after Henry’s death, appointed Edward Seymour, 1st Duke of Somerset, to this position. The new King, who was nine, had no paternal uncle and Somerset was his elder maternal uncle, Admiral Thomas Seymour being the younger. As we know, the Admiral was executed in 1549 and Somerset was removed at the same time. He was executed in 1552 along with Sir Michael Stanhope, who we now know to be an ancestor of the journalist Frank Gardner. John Dudley, Earl of Warwick and made Duke of Northumberland, succeeded Somerset but only as Leader of the Council and not Lord Protector. 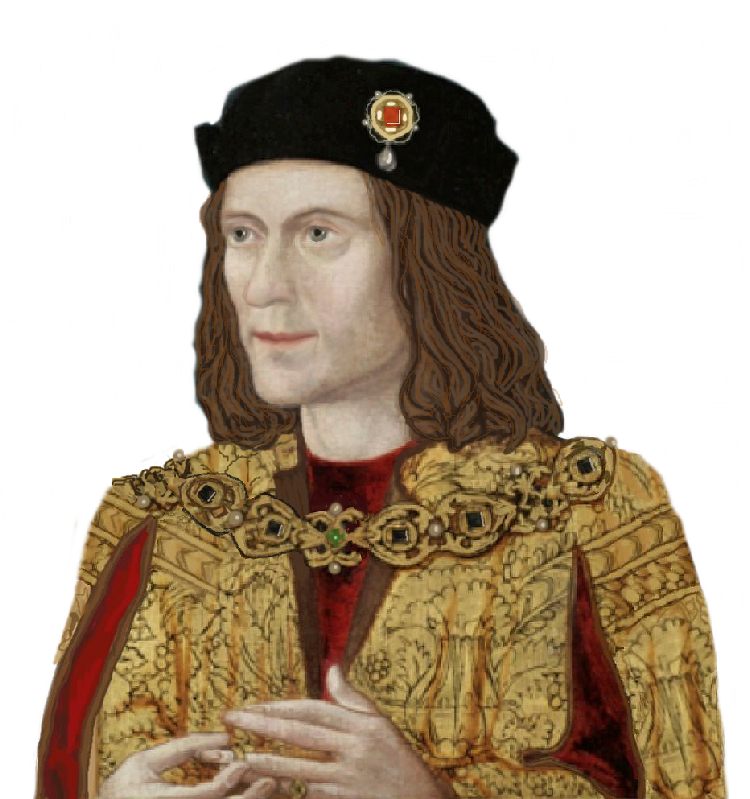 So, just as we established yesterday (https://murreyandblue.wordpress.com/2015/10/14/fabricating-precontracts-richard-iii-vs-henry-viii/) with reference to pre-contracts, the “Tudor” regime criticised the conduct of Yorkist (and Lancastrian) Kings, but followed it almost exactly with reference to the appointment of a Lord Protector. Hey, Richard II and St Edward the Confessor are one and the same…!